ISTOBAL is one of the European leaders in the design, manufacture, and marketing of car wash and car care solutions for the automotive sector. The company exports its products to more than 75 countries thanks to a worldwide network of distributors. It has 10 subsidiaries as well as three manufacturing and final assembly plants in Spain, the US, and Brazil. What’s New/Best Seller • FLEX5. 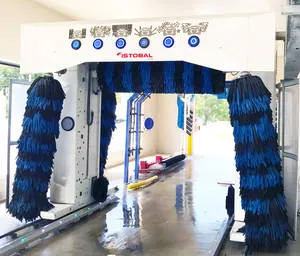 Advantages/Features • The versatile FLEX5 can respond to increased car wash demands without changing machines and can transform from three to five brushes (or vice versa) in just one working day to increase capacity and throughput. 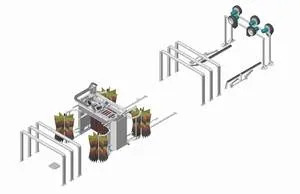 Targeted to all types of customers needing faster wash processes, the unit is five machines in one, and offers five different types of washes: three-brush configuration; five-brush configuration (providing up to a 30 percent reduction in wash and dry times); hybrid (by adding high pressure to the machine); touch free (configured without brushes); and combo (allowing customers to choose the wash they want). 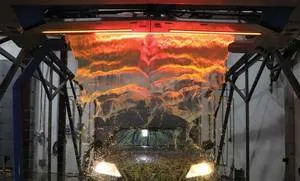 PDQ Manufacturing is a technological leader in vehicle wash systems, providing superior quality, support, and products that contribute to operators’ profitability. Brands include LaserWash and Tandem In-Bay Automatic Vehicle Wash Systems, SwingAir and MaxAir Dryers, Access Wash Activation Systems, Cortex, and WALS. What’s New/Best Seller • Tandem Surfline and LaserWash 360 Plus In-Bay Automatic Vehicle Wash Systems. 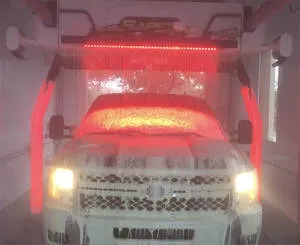 Advantages/Features • With more than 10,000 LaserWashes sold worldwide, PDQ Manufacturing, takes great pride in being a leader in the in-bay automatic vehicle wash industry. PDQ is dedicated to providing wash operators with the most innovative equipment that exemplifies the company’s tradition of performance, dependability, and quality. The LaserWash 360 Plus (touchless) and Tandem Surfline (friction) both raise the standard with new revenue-enhancing features and total cost-of-ownership improvements that offer wash operators the opportunity to realize a high return on investment. Customer/Operator Support • Products are sold and supported worldwide through an extensive distribution network. Contact • PDQ Manufacturing Inc., 1698 Scheuring Road, P.O. Box 5190, De Pere, WI 54115. (920) 983-8333. Toll free: (800) 227-3373. Fax: (920) 983-8330. Website: www.pdqinc.com. 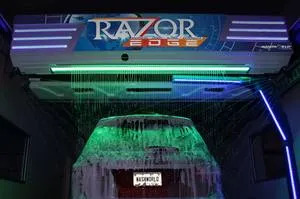 Washworld Inc. proudly manufactures Razor EDGE, Razor, and Revv touch-free wash systems and Profile soft-touch wash systems. These systems are known for their cutting-edge technology and proven performance. What’s New/Best Seller • Razor EDGE touch-free car wash system. Advantages/Features • Razor EDGE comes equipped with all of the dependable standard Razor components, but also includes an intense customer experience featuring all new elements: HyperFlex, which dramatically reduces wash time by working in conjunction with Flex Pass to simultaneously apply multiple products; LumenArch, 324 dazzling blue LED lights that create an eye-catching glow of the spray arch; and SpectraRay, a spectacular array of 4,528 fully programmable LED lights that add splashes of red, magenta, green, and blue to accentuate the entire wash process. Proto-Vest manufactures innovative, high-quality automotive drying equipment with low energy requirements. A variety of options are available for any dryer including products for noise reduction and energy savings. A Proto-Vest engineer can custom design a drying solution to fit individual needs. What’s New/Best Sellers • The Proto-Vest InBay RM Dryer. Advantages/Features • The Proto-Vest InBay RM is a touch-free drying system designed exclusively for in-bay rollover car wash operations. 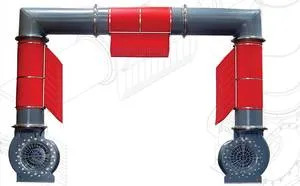 The dryer’s plenum is constructed using high-density polyethylene alloy making it dent and corrosion proof. This low maintenance system utilizes two 30-hp blowers and three air deployment bags that are designed to direct the air flow around the vehicle as it passes through the equipment. The bags are adjustable in five-degree increments from 0-15 degrees to help maximize performance. The unit offers a compact design to fit narrow bays and can be installed with virtually no adjustments to an existing bay. The InBay RM dryer can be paired with the Silencer Package to reduce noise levels. 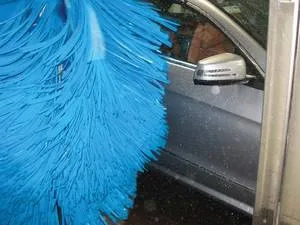 Kirikian Industries has been a leader and innovator in the closed cell car wash brush market since 1997. Kirikian is a family owned business with over 50 years in the car wash industry. What’s New/Best Seller • Neoglide Hush Brush Design and Ninja Brush Sold Through Sonny’s Enterprises. Advantages/Features • Neoglide is a technologically advanced closed cell washing material specifically formulated for the car wash industry with unsurpassed tensile strength for longevity and durability. Neoglide is extremely safe on today’s vehicles by inhibiting water absorption and resists grit from embedding into the material. It has a brightening effect while it polishes and rejuvenates the vehicle’s clearcoat finish. Neoglide is available for all car wash manufacturers equipment. Available solid colors include: blue, red, black, green, yellow, and gray. Available swirl colors include: blue/white, red/white, green/white, and reclaim black/blue. Belanger Inc. is a full-line car wash manufacturer, known for equipment with maximum customer appeal. 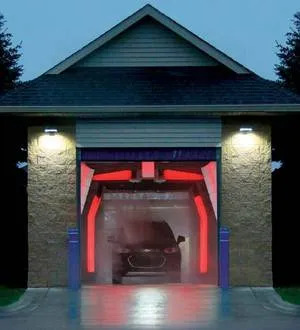 Many Belanger wash systems (in-bay and tunnel) feature illuminated wash elements (spray arms and wash wheels) that bring the distinctive and recognizable Belanger Glow to the wash bay. This delivers an appealing experience that attracts new customers, along with highly effective wash results that build customer loyalty. All Belanger equipment provides rapid throughput, low maintenance costs, and extended system longevity. What’s New/Best Seller • Kondor KL1 (1-Arm) and KL2 (2-Arm) Touchless In-Bays. Advantages/Features • Units feature: Belanger Glow with active site marketing synchronized lighting; LED Navigation System lighted arms; and DryLite lighted dryers or standard dryers, triple foam, and wax options. Customer/Operator Support • Support includes business planning, complete system training, local distributor network, technical support, and an aftermarket parts team. What’s New/Best Seller • Remote Amplifier Car Wash Sensor System. Advantages/Features • The Remote Amplifier Sensor System is a rugged, high performing photoelectric sensor system. Units feature extreme penetration power to shoot through heavy fog, frost and ice buildup, high-pressure water spray, dirt, soap, and contamination. Additional features include: 100,000 lux light immunity against direct sunlight — no shielding required; IP67 water and dust-tight construction; and a three-year warranty. Units are ideally suited for vehicle positioning, profiling, virtual treadles, and car wash doors. 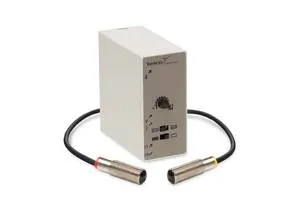 Sensors are available with pre-attached cables or IP67 rated quick-disconnect fittings, and feature power and output LEDs and built-in diagnostics for easy set-up and troubleshooting. Customer/Operator Support • Telco Sensors are available from a nationwide network of over 1,000 distributors in North America. 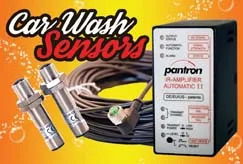 Advantages/Features • Pantron’s photoelectric sensors with quick connectors provide a fast installation and maintenance solution. The sensors are rated IP67 and are designed to penetrate steam, fog, ice, soap, and dirt. Pantron’s automatic amplifier has built-in diagnostic features to assist with alignment of the photo eyes and to pinpoint problems with the sensors. No need to replace both photo eyes when the Pantron system can diagnose the problem. Mr. Foamer’s pride and joy is its Foaminator System, featuring the Foaminator Maxx. Not only does this system provide a superior sheet-style application it can quickly be converted to an incredible coverage rain-style unit. The company also offers complete site signage, and can provide custom or branded signage from Wind Master inserts to full blown LED signs and marketing. What’s New/ Best Seller • Foaminator Maxx. Advantages/Features • The Foaminator Maxx can dramatically increase a wash’s average ticket and its customer’s experience. Units create consistent coverage while using less chemical and water. Its slim design mounts easily to most In-bays and is effective even in windy environments. 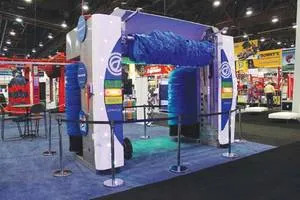 Coleman Hanna has been in the car wash industry since 1965 and manufactures a complete line of vehicle wash equipment and has knowledgeable and experienced distributors in over 60 countries. What’s New/Best Seller • Water Wizard FasTrak. Advantages/Features • Decrease wash time while increasing profits with the Water Wizard FasTrak. This touch-free automatic provides an open, inviting bay that provides easy entry for customers. The two wash arms allow a faster wash time, processing more cars per hour and increasing profits. The zero degree nozzle technology delivers needed impingement for high power cleaning. The unit’s simplistic design has less moving parts and a lower cost of ownership. Price • Available upon request with financing available. Customer/Operator Support • Worldwide distribution network in over 60 countries. Founded in 1966, Mark VII is the North American subsidiary of WashTec AG of Germany, the global leader in vehicle cleaning systems. Each day Mark VII equipment washes over two million vehicles at over 35,000 locations in over 60 countries around the world. What’s New/Best Seller • ChoiceWash XT hybrid soft-touch/touch-free rollover system. 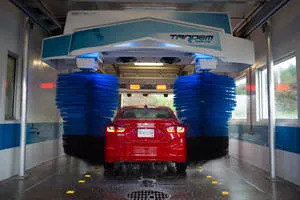 Advantages/Features • ChoiceWash XT combines SofTecs foam technology from the SoftWash XT and touchless turbo technology from the AquaJet XT into a single system that gives customers a choice of a friction, touch-free, or combination wash. The new FoamTecs option covers cars with a thick sheet of foam enhanced by multi-color LED lighting to create a dramatic display for customers and a compelling up-sell option for operators. Service/Installation • Mark VII sells and services half of North America directly and has a network of factory trained distributors covering the rest. AUTEC manufactures three primary car wash systems: soft-touch, touch-free, and a combination system. AUTEC also manufactures a soft-touch polisher. AUTEC guides its customers through the buying process by providing help with demographic studies, site selection, and equipment and option selection. The company ensures its customers a consistent cleaning performance, industry-leading throughput, and low operating costs. What’s New/Best Seller • AUTEC’s InBay Express. 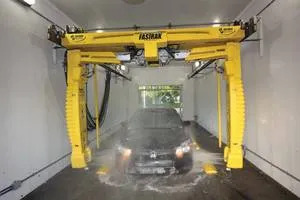 Advantages/Features • AUTEC’s InBay Express Car Wash business model features the AUTEC EV-1 Car Wash System (soft-touch, high pressure, and combination) along with a state-of-the-art, attention-getting glass building structure. The IBE is tried and true at AUTEC’s headquarters. Statesville, NC is a town of 25,000 residents and there are 19 competitive car washes. Statistics would suggest that there are not enough people and that there are too many car washes for the site to be successful, yet the wash continues to outperform projections. Units can be operated 24/7 and are capable of washing 25 to 30 vehicles per hour. Oasis Car Wash Systems offers a complete line of in-bay automatics from touch-free to soft-touch. Known for speed and reliability, its in-bays can generate more income for a site with higher throughput and lower operating expenses. What’s New/Best Seller • Baywash i5 Softouch. 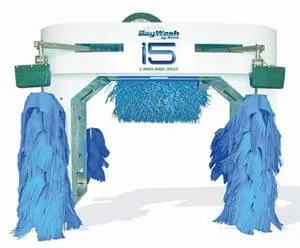 Advantages/Features • Baywash i5 combines the benefits of an in-bay automatic with the advantages of tunnel clean technology. The five-brush in-bay delivers speed, reliable operation, ease of maintenance, and consistent results. The touch-free and soft-touch in-bays offer fast wash cycle times resulting in higher operator revenues. Customer/Operator Support • An extensive distributor network backed by nearly 50 years of engineering and manufacturing. Price • Varies depending on options. Ryko is an industry-leading full-spectrum car wash equipment, cleaning solutions, and service supplier in North America. Ryko can help increase car wash counts, profit margins, and return on investment. Ryko offers state-of-the-art, automated car wash equipment and a complete line of car wash fluids specially formulated to lower the cost per wash.
What’s New/Best Seller • Enhanced Radius HP, New ColourWave (Artic Blue and Lava Orange). Advantages/Features • The Radius touch-free system is equipped with high intensity LED lights on the popular ColorWave. Ryko has added three times the number of lightswhich are 50 percent brighter for a more colorful foaming curtain light show. The ColorWave comes in two colors: Artic Blue and Lava Orange. The ColorWave comes with a new and improved manifold for better dispersion and a fuller foaming curtain. Customer/Operator Support • Ryko offers a nationwide service network that is staffed by factory-trained technicians to maximize car wash equipment uptime.